Susan B. Hyatt is Associate Professor of Anthropology at IUPUI and founder of that department's MA program in Applied Anthropology. From 1996-2004 she served on the faculty of Temple University. She is the author of several articles on urban policy and grassroots activism in the US and the UK. Boone W. Shear is a Lecturer in the Anthropology Department at the University of Massachusetts, Amherst. He is on the editorial board of the journal Rethinking Marxism, a member of the Community Economies Collective, and the author of several articles that lie at the intersection of academic engagement, economic subjectivity, and development. Susan Wright is Professor of Educational Anthropology at Aarhus University, and founder of the research program EPOKE (Education, Policy and Organisation in the Knowledge Economy). 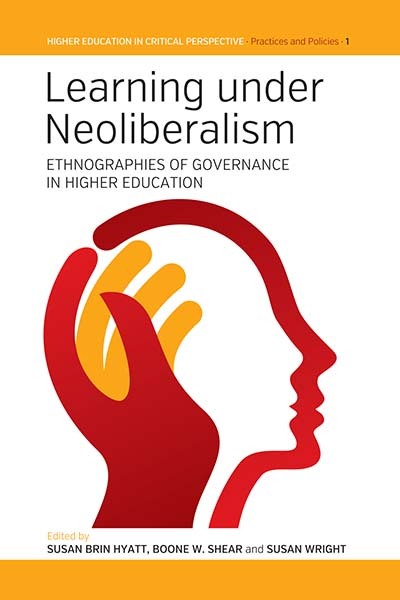 She is co-editor of Policy Worlds (Berghahn, 2011), author of numerous articles on higher education, and co-editor of the journal LATISS (Berghahn).